"Inarticulate was by far the best book I have read so far in 2016! " 5 STARS - A Book Lover's Emporium. 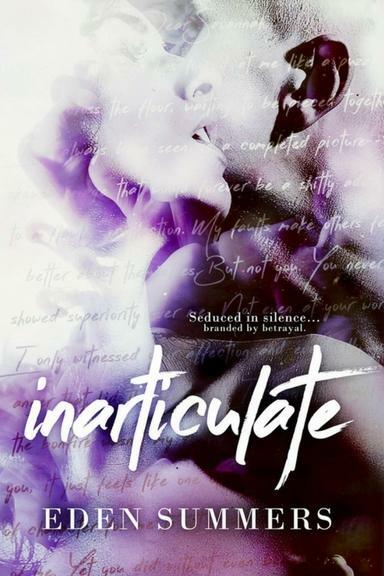 "INARTICULATE blew me away with its unique storyline and its SWOONY and SILENT hero. Best Eden Summers book TO DATE! One of the best hero/heroine coupling I’ve read in a long time. Just ****ing incredible." 5 STARS - Shayna Renee's Spicy Reads. "A beautifully crafted, emotional charged, magnetically infused with intrigue story of love and how it came to be." 5 STARS - The Books Junkie Reads. "Ms Summers has written a beautiful story that will remain in your heart forever. It would have to rate as ONE OF THE BEST FOR 2016 that I have read." 5 STARS - Ria, Reading is our Satisfaction.